There, dammit, I'm a knitter again. Read more about Hmph, so there. Knitting. But it's a half-done pile now! Read more about But it's a half-done pile now! I'm lodging this so I have a second copy. This is a knitting pattern I purchased some number of years ago from a website that is now defunct. Since it was copyrighted, I won't publish it publicly, but I hate the thought of this pattern being entirely lost. Stick by your words, domesticat. Despite what Matthew will tell you, I'm generally a nice and polite person, especially in public. I let my hair down on this site more than I often do in face-to-face conversations, and every now and then I have to learn to live with the little lump in my throat that comes with speaking my mind. 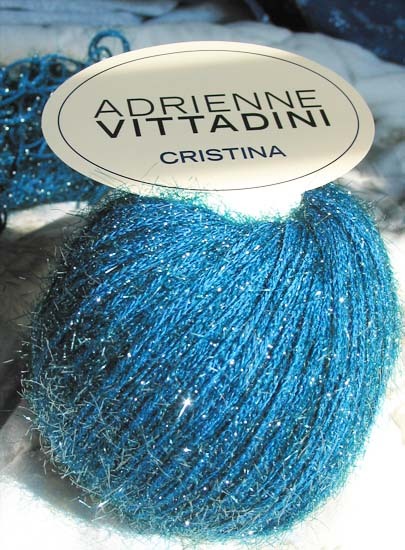 Adrienne Vittadini. Cristina. Color #4.